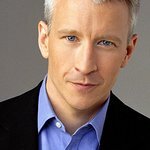 Conservation International is to honor Emmy-winning journalist Anderson Cooper and CNN’s Planet in Peril Team with the Global Conservation Hero Award for commitment and action toward a healthy, secure planet for all people at its 12th Annual New York Dinner. With honorary co-chairs such as Harrison Ford and Meredith Brokaw, the event is likely to be a sell-out. With its aim to conserve the Earth’s living heritage, global biodiversity and demonstrate that human societies are able to live harmoniously with nature, Conservation International is at the cutting edge of environmental work. Founded in 1987, Conservation International provides a fund for scientists in 30 countries to identify and overcome biodiversity threats. It focuses its efforts on tropical wilderness areas, marine areas, and major wetlands, and since its inception has donated over $100 million to conservation partners around the world. Ford joined the ranks of Conservation International as a board member, and soon became vice chairman. He became actively involved in the organization’s design and growth, and now sits on the Executive Committee. The Annual Dinner takes place on May 21 at the American Museum of Natural History. Tickets are available here.